Photo courtesy of Ben Luedke. We get it: winter running can be a challenge, with its icy trails and cold temperatures. But there’s a growing cadre of runners taking advantage of the chilly months as an opportunity to get serious about a particularly underrated winter pastime: snowshoeing. 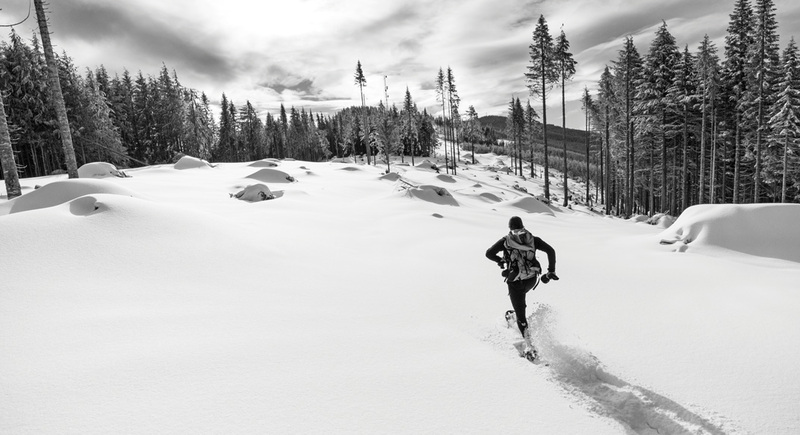 Snowshoe running—and racing—may translate to better, stronger running. Snowshoeing enables you to continue enjoying your favorite trails even when they are covered in snow, and opens the door to exploring off-trail. It beats staring at the screen of the treadmill. Plus: snowshoeing has less impact on joints, because of the softer surface. 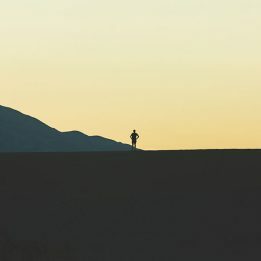 Nick Scalfone, 32, of Bend, Oregon, began his career as “your average cross-country and road runner” in high school and college. He went on his first snowshoe run in 2010 and it quickly became his favorite sport. He was third at the 2017 U.S. Snowshoe National Championship back in March. You’ll probably run with a slightly different form to compensate for the added weight of the shoes: higher knees and a wider arm swing. Your core will also be more engaged, to compensate for the instability of snowy terrain. Because of the added resistance and cold, you won’t need to put in as much mileage. Scalfone does weekly tempos of around 10K, and long runs that range from 90 minutes to two hours. Even power hiking on snowshoes out in the backcountry makes for an excellent workout. 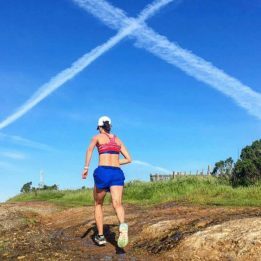 Speedgoat 50K champ and member of the 2016 U.S. snowshoe team, Anna Mae Flynn (cover image), 30, of Marble, Colorado, bases her snowshoe training on time rather than speed. “I tend to accumulate many dark hours lit by moonlight and headlamp,” she says. 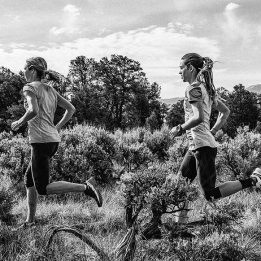 “It’s peaceful, and it’s darn hard.” She saves the speed for track sessions and the occasional tempo. It’s important to choose the right pair of snowshoes. Some are meant for general hiking, some for powder and others for running and racing. Joe Gray, a nine-time member of the U.S. Mountain Running team and winner of this year’s World Snowshoe Invitational, recommends trying a few snowshoes based on what your goals are. Snowshoe races are regionally based, depending on where the snow is best.